We probably don’t need to tell you that one smartphone feature that has undergone rapid advancement over the last couple of years and continues to greatly improve with each generation is image sensing. High end and even mid-range smartphones are now equipped with much more efficient and adept sensors, optics and software, which directly translates to pictures that can and do rival many entry level point-and-shoot cameras. Mobilography is now becoming less of a hobby and more of an honest toil providing a viable supplemental income to those who know how to get the most out of their hardware. Suffice it to say, smartphone cameras are only getting better, but the camera software on our phones doesn’t always complement the all too capable hardware. Maybe the software optimization is poor or some important features are lacking or missing altogether… Fortunately, there are quite a few third party apps out there that can supercharge your phone’s camera and help you make some money on Clashot. Camera ZOOM FX has been around for years and for the majority of that time it has been preinstalled on many of the numerous devices we’ve had our hands on. 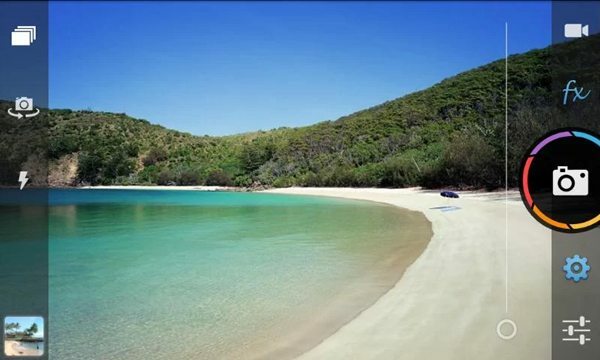 It recently received a massive overhaul and in the process became much more user friendly. But the same features that make Camera ZOOM so great are still there: dozens of effects and most add-ons you can download from Google play. 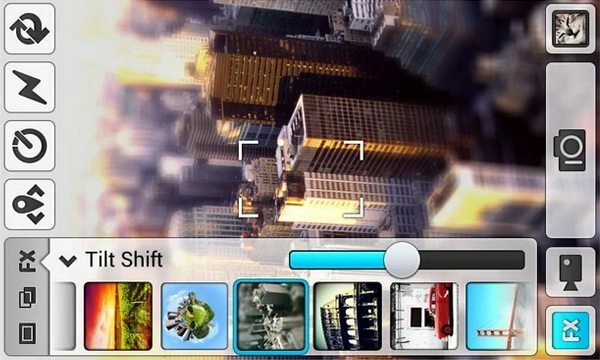 There are several shooting modes such as burst, timer, stable shot, time laps or collage. On the outside Camera ZOOM effects are easy to use and quick but for those who want to break out the filters, effects and other goodies this app is packed to the brim. It’s $2.99 at the Google play and the add-ons are free. Camera MX is another app full of various effects. When you open it for the first time it looks like any other camera application. It has toggles for flash, timer, video recording and zoom. It also has ‘effects’ button that reveals dozens of filters and frames. Some of the most notable effects are ‘image order’, ‘kaleidoscope’ and ’tilt shift’. We also took a keen liking to the ‘vignette retro’ filter. The one thing worth mentioning on the MX is that many of the effects are applied in the view finder while you’re still taking the picture, causing some latency in saving images, which means you can’t take very rapid or successive images. You can, however, apply those effects after the picture is taken and edit various aspects of the image such as WB, contrast, saturation etc. – all from within the app. 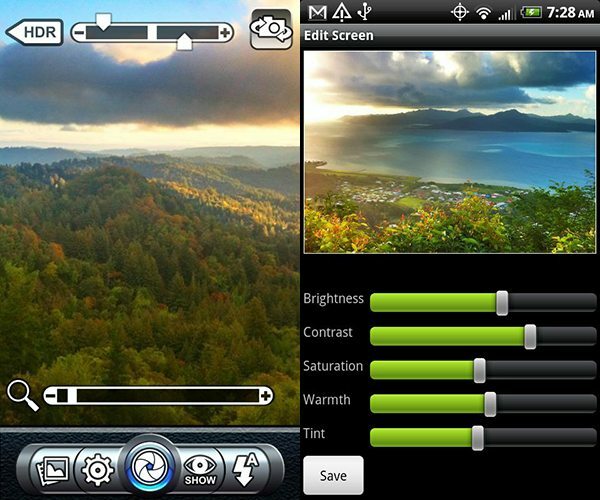 Camera MX is free but with only a few features. The $0.99 purchase will unlock the rest of the app. The name of the app ‘Pro HDR Camera‘ speaks for itself. Frankly, the app’s interface is far from pretty but it works and it gets the job done fairly well. There are three modes: ‘HDR off’, ‘Auto HDR’ and ‘Manual HDR’. There are some other settings such as ‘output resolution’ and ‘enabling focus between each exposure’ but this app’s primary function is HDR. And it delivers for a fair $1.99. Camera FV-5 comes into play when you want to get serious about your camera phone picture taking. 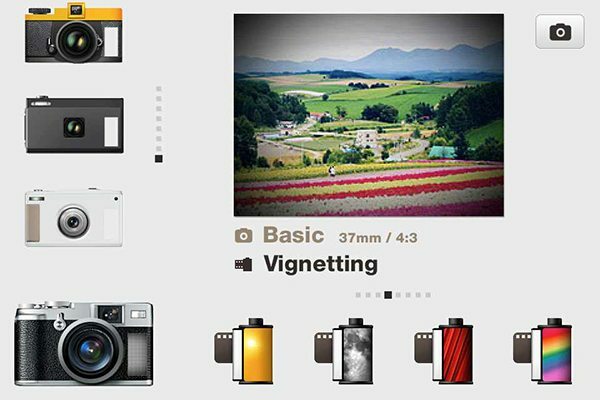 This app gives the user control over various settings that are usually automated on smart phones, such as ISO, focus mode and light metering mode. It also incorporates such features as intervalometer and exposure bracketing, which can create some awesome effects if you know what you’re doing. Camera FV-5 uses the same style interface as found in many point-and-shoot cams and DSLRs. Basically, it puts a lot of control in the hands of a user without being too overbearing. That said, some of the features, like shutter speed adjustment were pretty disappointing. The maximum output for a long exposure for our device was 0.7 mega pixels and that number varies from device to device but the result is still pretty dismal. Other than that, we really liked the extended control offered by the Camera FV-5. It’s available at the Google play for $3.95. Pudding Camera is yet another take on various filters and effects but it implements its features in a fun and intuitive way. When you open the app, tap the “camera” icon in the lower left of the display. 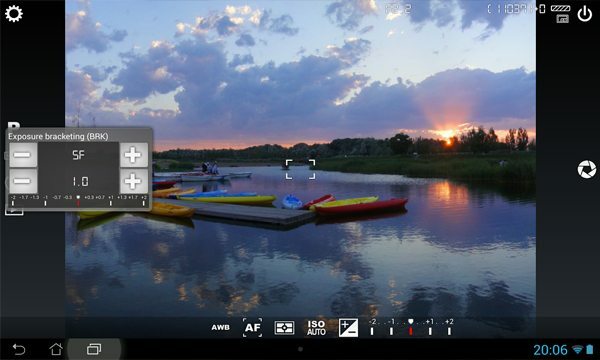 From there you can choose from different cameras, effects and even different types of film. Exposure can be adjusted by tapping on the left, which reveals a scroll wheel for exposure values. And there’s a feature for taking selfies that allows you to tap anywhere on the display to take a photo. Not much else to say about this fun little app except that it’s absolutely free. Prev PostClashot receives the prestigious Best agency Mobile app Award!